Souveniers can be an expensive addition to any trip regardless of where you’re going. Often destinations will cleverly trap you into buying a magnet that you just can’t live without, a sweatshirt, or a stuffed animal that will sit in a corner after you come home. Disney is certainly no exception to this. They are in fact experts and selling merchandise to their millions of park goers. I know this from experience and spending lots of money on souveniers on various trips to the Disney parks. 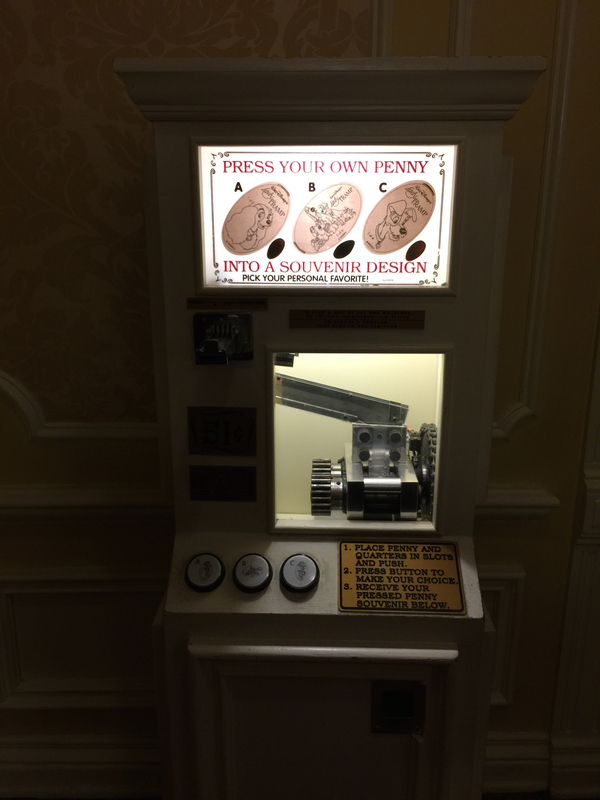 If you’re looking for a unique souvenier experience though that won’t cost you an arm and a leg, may I suggest the penny press machines. 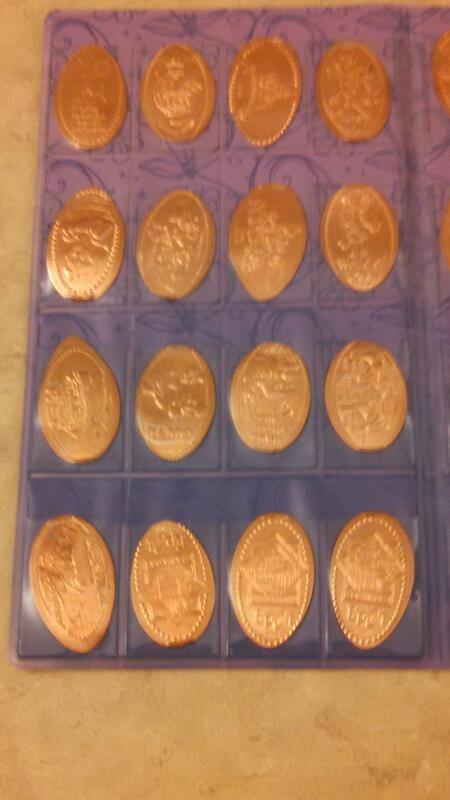 Throughout the parks, resorts, and Downtown Disney, you’ll find penny press machines. In addition to it being a unique souvenier, it’s almost like a scavenger hunt to find the different machines! Some are out in the various lands, close to rides, as well as in gift shops. Tip #2- Be prepared with your coins. To press a penny it will cost you 51¢. The machine will have you enter 1 penny and two quarters. 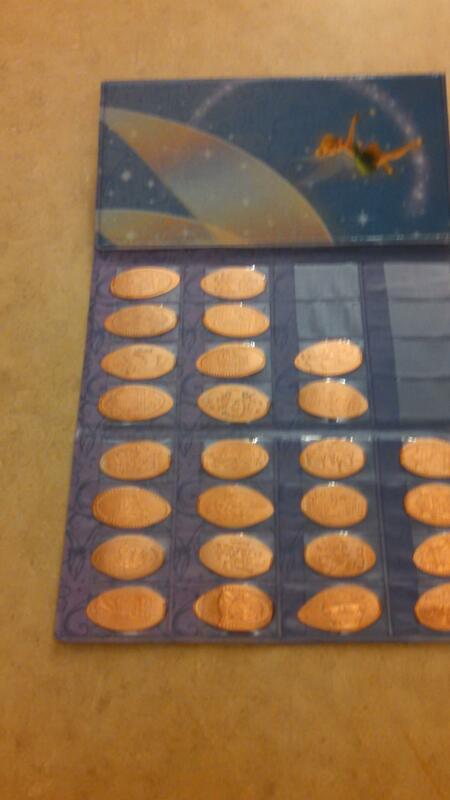 You can save valuable time by organizing your coins and having them ready to go. 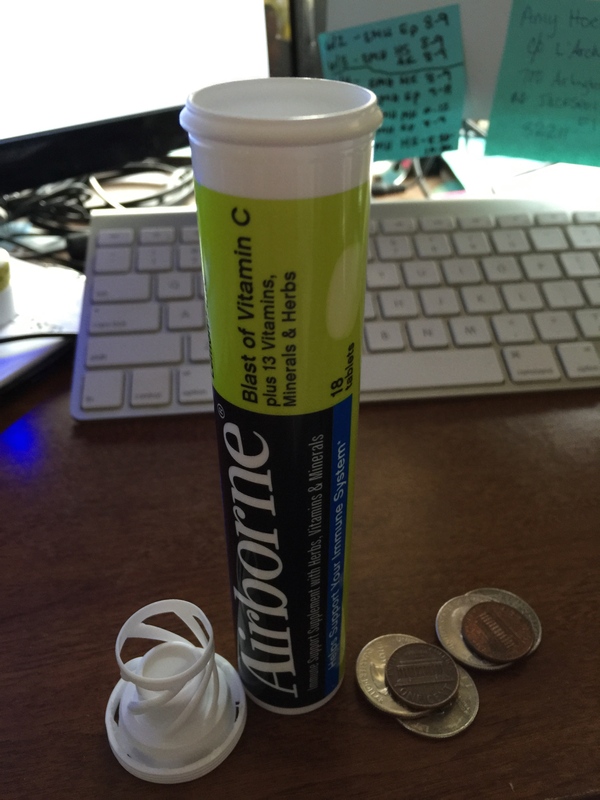 My Mom decided to press pennies on our trip in January and to organize her coins we used an “Airborne” tube. 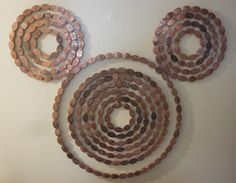 She layered her coins- quarter, quarter, penny… quarter, quarter, penny… quarter, quarter, penny… etc. Tip #3- Go to the bank and ask for a change 50¢ in for a roll of brand new pennies. 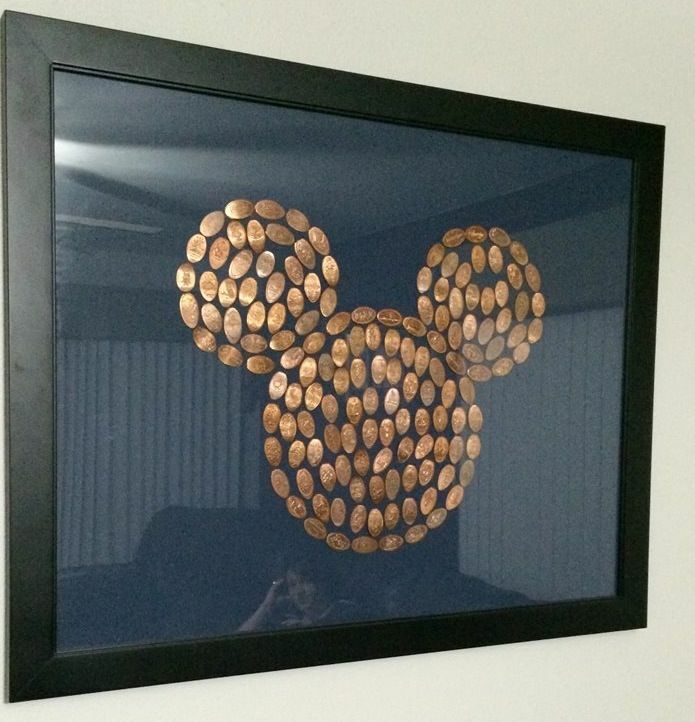 The pressed pennies look much nicer when you use a brand new shiny penny. 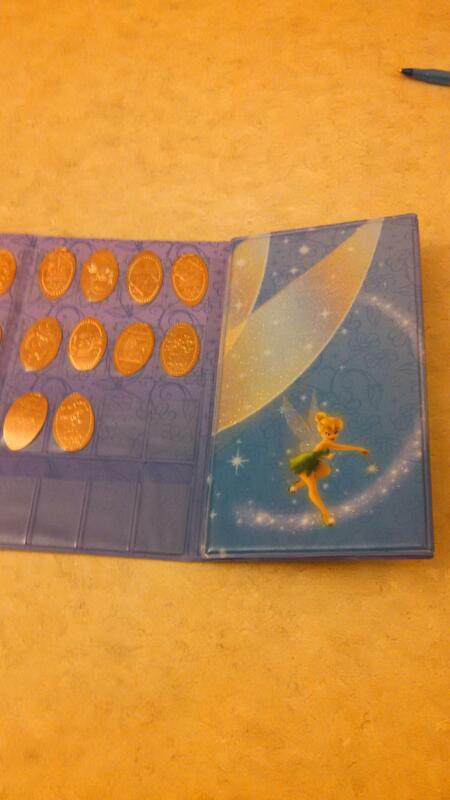 Another option is to purchase a pressed penny collection display folio. 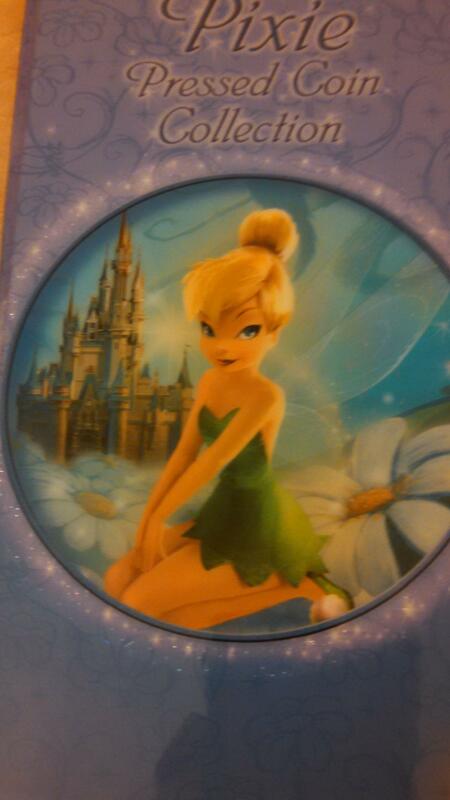 While we were in the parks my mom purchased a Tinker Bell pressed penny folio. This can add to the souvenier because it is also themed. Interested in booking your own trip to Disney? Contact ashley@charmingtravelsllc.com for your free quote! Ashley will work with you to make your magical vacation dreams a reality.